Soo we have 2 months left of the year..? How and when exactly did that happen? The shops are already crazy busy and I need to start my Christmas shopping! 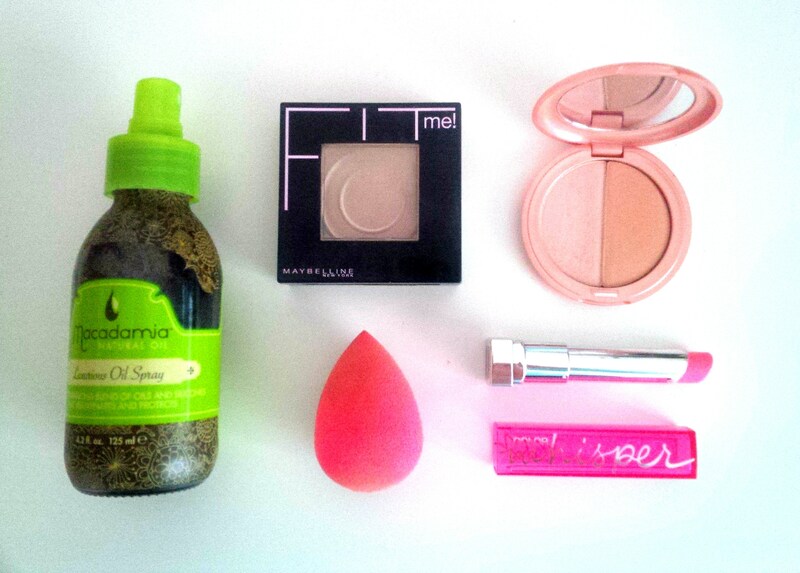 Here are my beauty faves of last month! Macadamia Hair Oil: I will admit I have been slacking in taking care of my hair lately! To get it back in better shape – I have been applying generous amounts of my hair oils the night before I wash my hair. I have actually been seeing and feeling a difference! My hair is less frizzy and smoother believe it or not! Maybelline Fit Me Power: I absolutely LOVE this powder and it is my daily go-to. I use this to set my foundation and just find it to be the perfect powder. The powder is finely milled so it doesn’t give you a cakey look. It is very affordable and when Chemist Warehouse have their occasional 50% off make-up sales – you can pick this up for about $7 which is an absolutely steal! Maybelline Colour Whisper in Petal Rebel: This has been my daily go-to. It is very light and flattering pink shade that I find works with every make-up look. My lips are constantly dry and it is not uncommon for them to look like they are about to peel (kinda gross, I know!!) and this product is moisturising enough that it feels as though it doubles up as a lip balm and colour. I have been keeping this in my handbag for the past month and have been using it constantly! Stila Kitten Duo Highlight: I absolutely love love love this product. I use it as an all over highlight and also as a shadow and both shades are absolutely PERFECT! I will definitely re-purchase this when I run out. The shades are just too stunning. What were you loving in October? Have you tried any of the above? Do you like any of these products? Let me know your thoughts! Great picks!! Try the Real Techniques beauty sponge…it’s very comparable to the Beauty Blender- I love it!